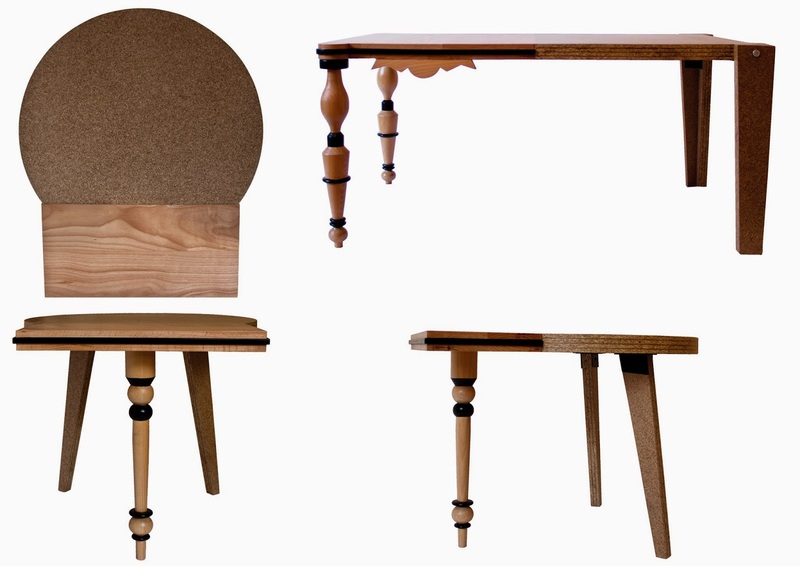 Bowlly is a multi-functional side table, suitable for any imaginable space. The rotatable and removable bowls was inspired by vintage medical cabinets. If placed in kitchen- it could hold spices, in living room- flowers, in hallway- keys, in bedroom- jewelry. Materials: natural and painted basswood, painted metal. 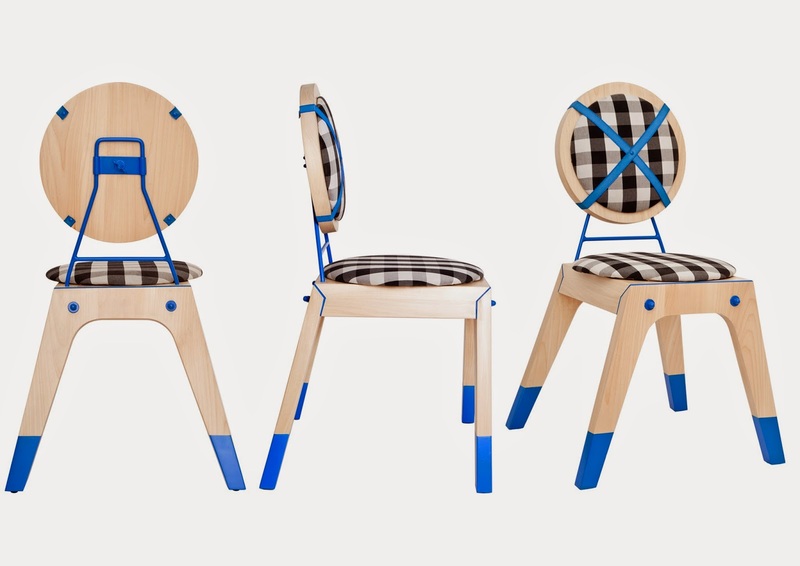 Crosswise is s simple basswood chair with a playful twist to it. The idea of the back was inspired by industrial technical chair. The height of the back is easily changeable, or completely removable if needed. 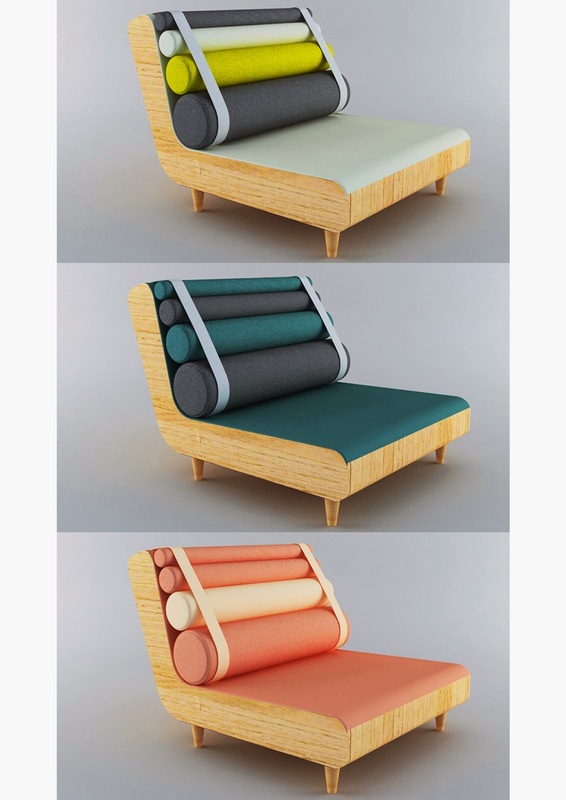 Materials: natural and painted basswood, fabric upholstery, painted metal details. 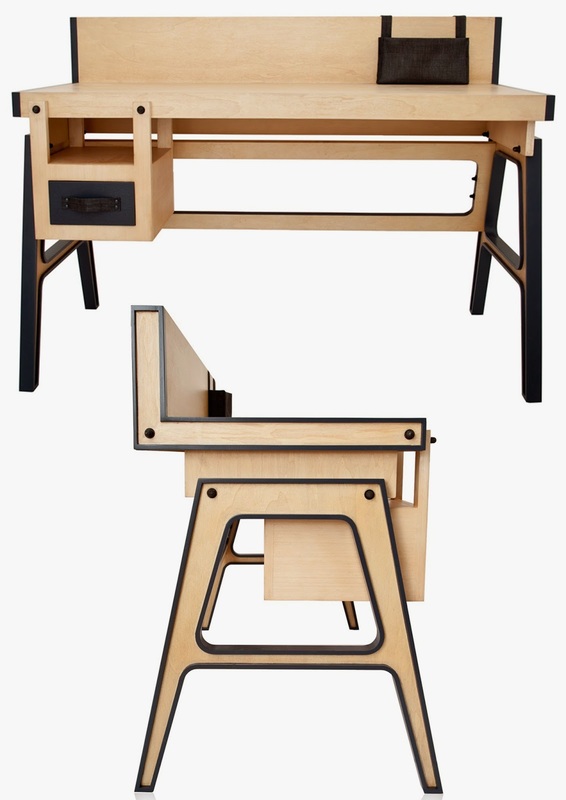 Doodad is a desk that derives from the inspiration from industrial metal table, and the willingness to merge technical with soft aesthetics in a simple, uncomplicated way. The intentionally visible bolts holding the structure together, draws back to industrial era, while choice of the main material and the details provides softness. The legs and the drawer are removable from the top. Materials: natural and painted basswood, fabric details. 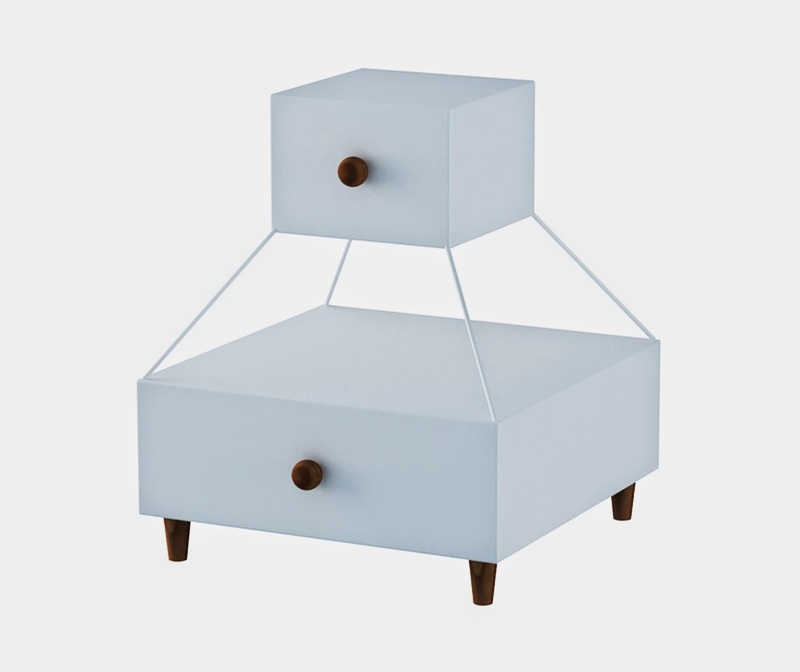 Tumbo is a simple, wooden side table with two drawers that are connected with a thin metal tube. The idea was to create a storage for diverse use, with a floating illusion. 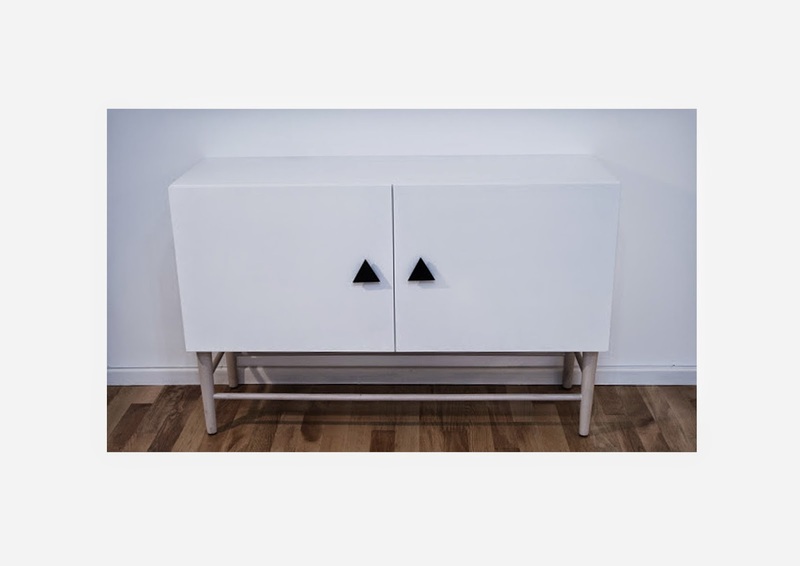 The cabinet called Triad is inspired by Scandinavian style. The cabinet is incorporating monochromatic color scheme and natural materials. 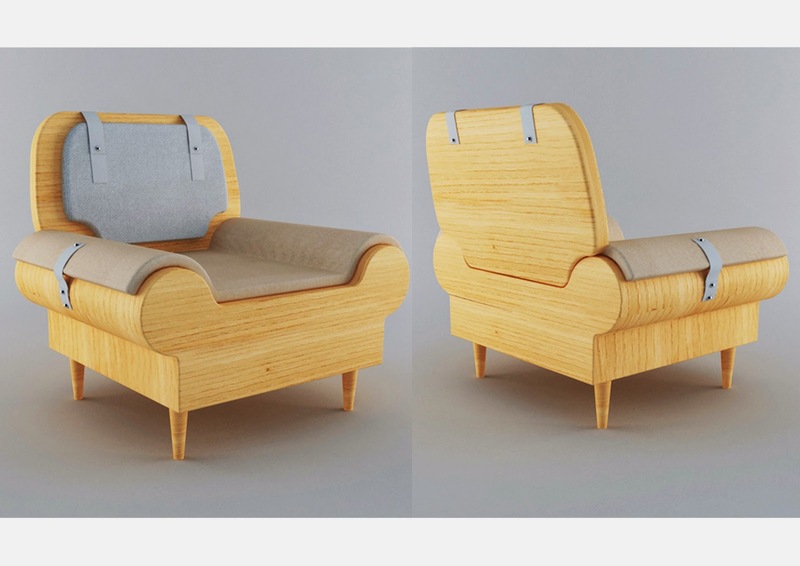 The main idea for Bulky armchair came from altering the well-known shape of classic, upholstered armchair and changing the material from fabric into wood, from fluffy to rigid. It still contains upholstered parts, but lessened to the minimum and detachable from the surface. Mutaqa means Asian cushion in Georgian. Playful sofa with removable cushions, that slides into the fixtures. 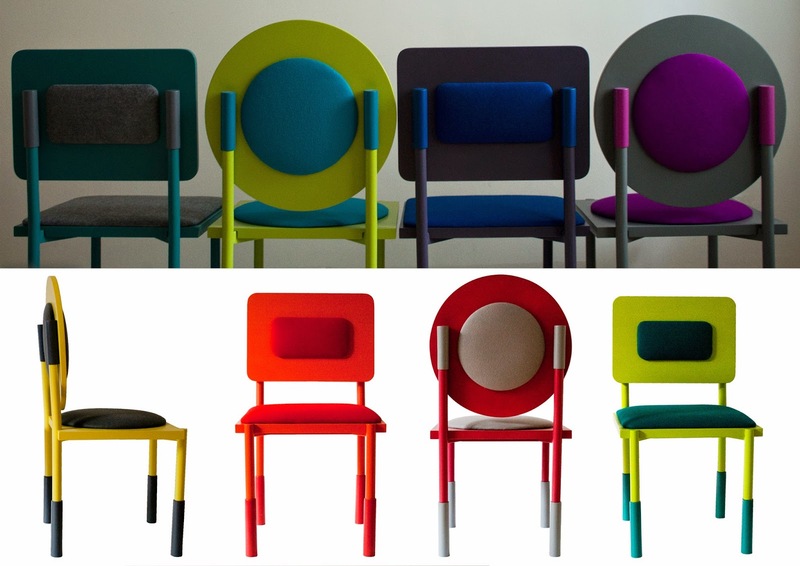 Ranging in colors, Mutaqa sofa is designed for people who like to live cheerful and colorful life. An effort to transform the invisible connections into the visible, solid shapes. 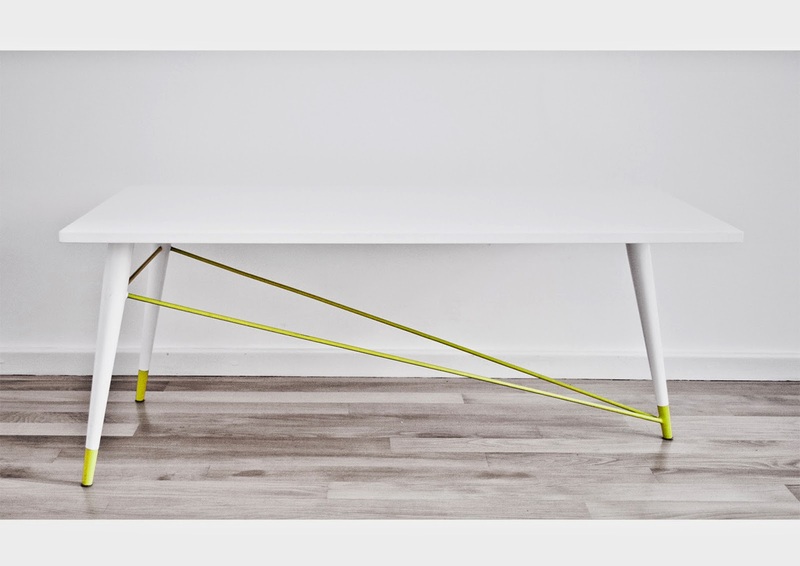 Triple table is a simple coffee table on three legs. Materials: painted mdf for the top, painted metal legs and tubing. 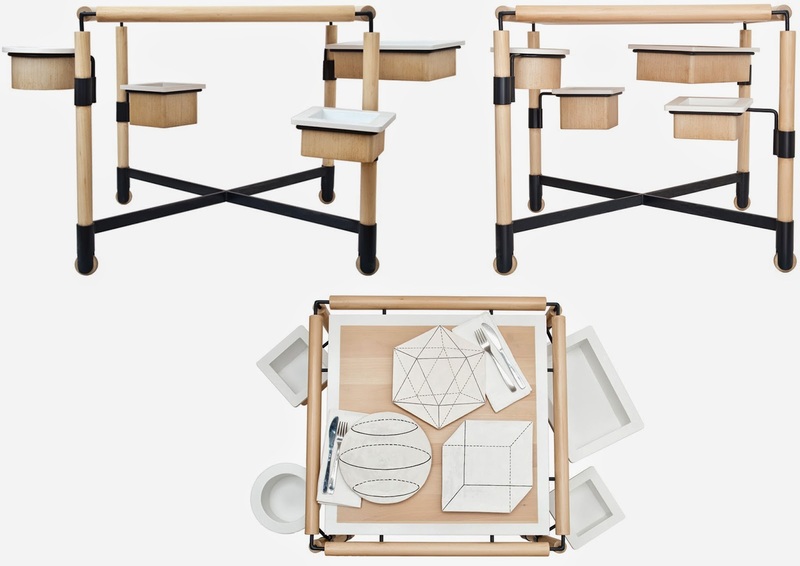 The inspiration centers around geometry and natural materials, merged with playfulness and simplicity. Materials: Felt upholstery, painted metal construction and legs, painted wood for the seat and backrest. The colors are not limited to the presented ones, various color schemes could be applied to them. One side of the coffee tables Dema is more complex, requiring intricate process of manual elaboration on a beautiful but not so cheap material- natural wood, while the other side of the table uses the economical material- particle board, which is most commonly used for hidden, beneath construction and rarely shows its true face on the end product. Usually, if the particle board is used for the construction of an object, it is covered by the veneer in order to stimulate the look of solid wood.